Home LETTITOR	Who do we look up to? Role models, mentors, personal heroes—these are the kinds of people who can shape us into the sort of person we want to be. I’ve always found the concept of the role models to be fascinating, and a bit dicey. Having someone to look up to is comforting, and I genuinely think it can make you a better person. It puts a lot of pressure on the subject in question though; and there’s few pains greater than when someone you look up to disappoints you. The dynamic gets a bit more complex when you look at the relationship between people and role models they know and interact with on a regular basis, versus the relationship between people and distant heroes. It’s easier to humanize and accept the flaws in friends, families, coworkers, and teachers. It’s a bit harder when your only interaction with your personal hero is, essentially, entirely in your own head. I grew up idolizing content creators; filmmakers, mostly, but also authors, actors, musicians… denizens of pop culture often visible to the public eye. Like a lot of kids, I really wanted to be one of them. My idols were Peter Jackson, Joss Whedon, Tamora Pierce, Steven Moffat, Eoin Colfer, JK Rowling, and so many more. As you might have already noticed, however, some of these role models aged a little better than others in terms of keeping up with the times. It’s a hard thing to reconcile when you grow up to realize that a person or figure you truly hoped to emulate in some way is just as human as everyone else—harder still if they seem reluctant or outright unwilling to learn from their mistakes. I’m lucky to have amazing role models in real life and personal heroes to look up to. I know last week the world of entertainment lost a personal hero and role model for a great many people. I’m not as involved in the comics industry and community as some of my friends are, but I know that the loss of Stan Lee has hit many people hard. 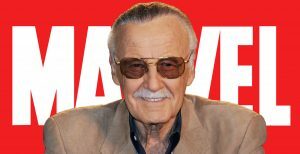 Brittney MacDonald, our Life & Style editor, has written a compelling feature covering Stan Lee’s impact on the world of comics, which I highly recommend checking out (it’s right in the centrefold). I think my takeaway here is that mentors, role models, heroes; they’re just people. Amazing, flawed, inspirational people, which is honestly the best part. Because we’re just people too, and who knows? Maybe you’re someone’s role model and you don’t even know it.